Sometimes the time comes for all good friends to part. And it is now time for me to part with my amazing collection of beaded sweaters, vests, dresses and other great old friends. I started collecting beaded sweaters over 20 years ago. 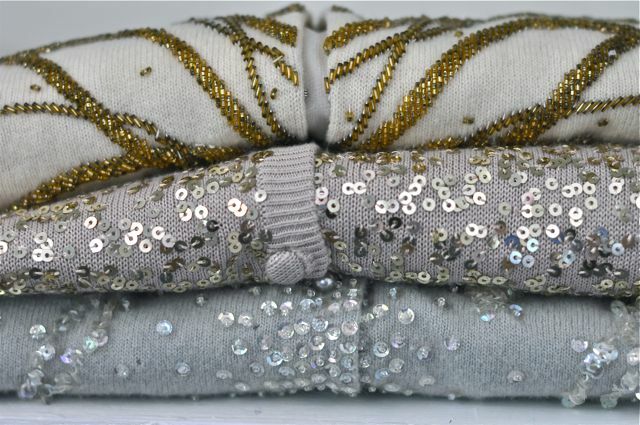 One sweater caught my attention (I am keeping that one!) and the rest is history. For me, collecting these became almost an addiction. Well, not almost.......definitely an addiction! But since I am not blessed with a detached guest house that I could convert into a sweater closet, it's time for them to find new, loving homes. Most all of these are statement piecess. When you walk into a room, you will make a statement. People will stop, look, and shower you with compliments! Glamour? Check. Elegance? Check. Style? Check. Fun? Double check. Since I want them to find new homes quickly, I have priced them LOW!